Our culture is becoming more health conscious each day. However, there are limits to the results that diet and exercise alone can achieve, and certain pockets of fat or areas of loose skin can be addressed with simple procedures. 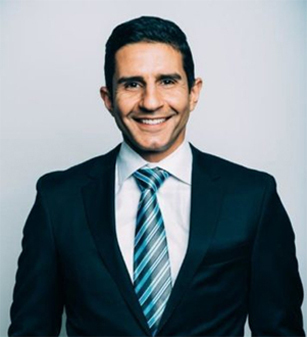 Seattle area plastic surgeon Dr. Shahram Salemy offers body contouring and body lift procedures as an excellent option for patients who would like an improved appearance to their abdomen, hips, thighs, arms, legs, or neck. In addition, Dr. Salemy will often combine these procedures to provide patients with a comprehensive improvement to their appearance. While the overwhelming majority of patients are quite happy with their results, on occasion a touch up procedure is required. These situations are handled on a case by case basis, but in general, should a secondary procedure be deemed necessary by Dr. Salemy, you will not be charged a fee for his services, but you will be responsible for the operating room and anesthesia fees. If you are a patient who has lost a lot of weight from dieting, exercise, or bariatric surgery (gastric bypass surgery), then you are probably wondering how to get the slim body that you hoped for. Now that the weight and fat are gone, you may have excess skin that needs to be removed before your look can be completed. Excess skin must be surgically removed through body contouring plastic surgery, and Dr. Salemy is experienced with removing excess skin and fat after weight loss to create a natural look. The goal of these procedures is to provide you with a slimmer profile, more comfort and symmetry in your clothing, and more confidence with your appearance. Body lift surgery often combines a number of plastic surgery procedures, including Tummy Tuck, Thigh Lift, Arm Lift, Liposuction, or Breast Lift with or without Breast Implants. Dr. Salemy will discuss your options with you in developing a surgical plan that best suits your needs. Contact us today to schedule a Body Lift consultation! An arm lift, or otherwise known as brachioplasty, can remove the excess skin and fat deposits, leaving the upper arms with a more pleasing and youthful contour. As a person ages, upper arm skin can become loose and flabby. Dr. Salemy will discuss with you carefully how the procedure is performed, including the location of the incisions, as well as what you can expect in terms of improvement to the appearance of this area In some instances, Dr. Salemy may recommend that liposuction be used alone or in conjunction with an arm lift to create the best possible shape and contour of your arms. Contact us today to schedule a Arm Lift consultation! A medial thigh lift will lift and tighten the sagging skin of the inner thigh. This procedure works very well in select patients with loose, hanging skin that simply will not tighten with exercise. A thigh lift is commonly performed as part of a lower body lift for patients who have undergone weight loss following bariatric surgery, and in some cases Dr. Salemy will recommend liposuction of the area as well to provide a balanced shape and contour. Contact us today to schedule a Thigh Lift consultation!